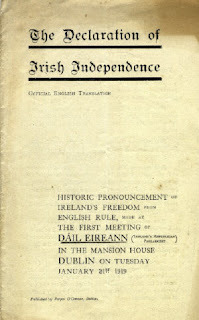 Article published in An Spréach Magazine, a new quarterly independent Socialist Republican magazine formed by a collective of political activists. There is a counter argument to my article below but you will have to buy the magazine to read it! So what exactly is wrong with a Border Poll and uniting the six-county northern statelet with the 26-county Free State? Isn’t that what we Irish Republicans have always wanted? A United Ireland? Well in one word – NO. This is a common misconception among the general public, you will hear people opposing a united Ireland based on the fact that in the Free State there is no NHS and other such aspects of the welfare state that are in the 'North'. Similarly, people also comment on how the Free State cannot 'afford' the north-east. I have lost count of how many times I have had to dispel these myths and explain that Republicans oppose the Free State as much as anyone. Our goal is not merely a united Ireland but we seek the establishment of the Republic as envisaged and already declared by the Provisional Government of 1916. 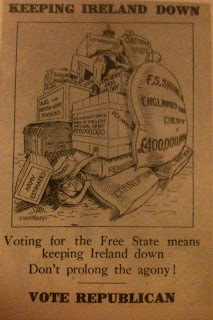 Ireland has been united before, up until 1922 in fact, albeit united British rule. The Partition of Ireland has been in place since 1920, this was cemented after the signing of the so-called Anglo-Irish Treaty in 1922. 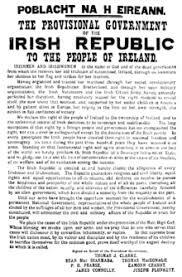 The Republic declared and fought for since 1916, that all Republicans pledge their allegiance to, was suppressed in the bitter counter-revolution that followed and in its place the two partitionist states were set up. Republicans since the partition of Ireland have been fighting a war against these two illegitimate states. One of the main lies that the Irish public are fed about the genesis of the 26 County state is that the Free State draws its constitutional line of authority from the 1916 Rising and the all-Ireland General Election of 1918. 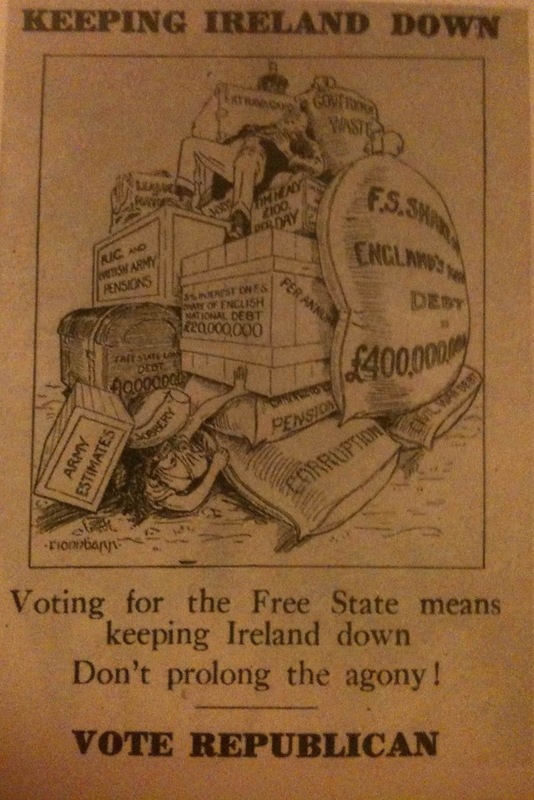 In reality, the Free State originates from Britain’s Government of Ireland Act 1920, following a decision made at the only sitting of the House of Commons of Southern Ireland in January 1922, formed under this British Act. I expect and hope that this will pointed out by all republicans in the next few years, particularly with the centenary of the 1918 election looming. So much like the 6-County state, the 26-County State also exists in complete defiance of the Irish Republic proclaimed in 1916 and re-affirmed through the first all-Ireland Dáil Éireann. As Republicans we all recognise that the Partition of Ireland must end, it is our duty to fight for the all-Ireland Republic as proclaimed, not a watered down version and certainly not an extension of the Free State jurisdiction over all of Ireland, which is exactly what any border poll will offer. We must strategise and formulate our demands, and demands they are, not mere requests to be put through a rigged border poll that is organised and overseen by the British and Free State Governments. We must remember these people are our enemies and in their respective ideologies remain greatly opposed to basic tenants of radical Irish republicanism. In exploring the calls of those asking for a border poll, the language itself is one of a submissive, 'give us a border poll'. This is the language of a slave, implicit here is the notion that a border poll is something for our imperial masters to give us and something for us to beg for. The constant requests from nationalists for a border poll has them exactly where the Brits want them, in an act of public subservience. Of course this isn’t the first time in history the idea of a border poll has been mooted, this isn’t some great enlightened idea that was formulated and added to the GFA. In fact, we have already had a border poll back in 1973, one which Republicans rightly boycotted. Hence, since then, what exactly has changed? The fundamental tenets of Republicanism are exactly as they were in 1973. 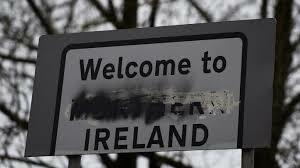 The idea that Brexit provides the perfect opportunity to beg for a border poll, could be described as reactionary, perhaps relying on the nostalgic and romantic idea that 'England’s difficulty is Ireland’s opportunity'. Admittedly I had hoped that Brexit would increase a demand for the Republic and a re-awakening of Republican sentiment, but a border poll provided by the British and Freestate wasn’t exactly what I had in mind. The idea that a border poll is just a stepping stone is one to treat with caution, we have heard all this before, every single revisionist step taken in Irish history by groupings of one-time Republicans has been described in a manner similar , from the Home Rule Bill of 1912, Treaty of Surrender in 1921 to the failed GFA. If, (and it’s a big IF) the border poll did succeed, its outcome would be influenced by the conservative political establishments in power, you would see nothing more than a 32-county Free State, the Republican project would be diminished. I believe firmly that what would follow would be far from a renewed appeal for the Republic, but a move into a campaign of reformation within the Free State, with many engrossing themselves in the status quo. Our history shows Ireland was artificially divided and we want to end this, we also and more importantly want to see the re-establishment of the Republic. This must then spell the dissolution and ultimate end of the two illegitimate institutions, something a border poll does not even hint at. As mentioned, in 1973 Republicans boycotted the border poll. I believe the only logical thing for Republicans to do this time around is again boycott any proposed border poll, then campaign around this boycott and promote the all-Ireland Republic of 1916 alongside it. This will ensure there is a boycott in place, a Border Poll certainly won’t be representative of the Irish nation acting as a single unit anyway. We must hold out for the Republic and, to paraphrase an oft-used quote of Seán MacDiarmada, damn their concessions. Admittedly, we have a long way to go in educating the nation, in lobbying and securing support for the Republic. The border poll will confuse the debate and ensure that Irish people as a whole are rubber stamping the whims of the conservative and reactionary political establishments of both Britain and the Free State. If passed, the Free State's mandate will continue to be strengthened, and in the minds of its supporters and commentators here and over the world the question of Irish independence will be seen to be over. Ironically, in such a scenario, it would be the Free State achieving a total victory, and the cause of Irish Republicanism will be defeated. Bitterly ironic that this could occur a century since the counter-revolution of 1922 - 23, in which so many Republicans sacrificed their lives for the Republic. The Freestaters will finally have won. 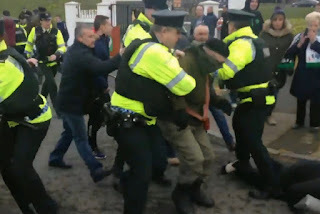 There are republicans backing the idea of a border poll, who claim to be socialist-republicans in the tradition of Liam Mellows and James Connolly. In closing, ironically, no one could sum up my feelings on the matter better than both these men. Yes, a border poll does offer the opportunity of a united Ireland. But true independence and the re-establishment of the all-Ireland Republic, the Republic declared in 1916, that Liam Mellows, James Connolly and their comrades died for? That would be a firm NO. Brilliant Cait and very much in line with my own thinking. Don't delute the vision of honest men and women. There has been to much pain, sacrifice, suffering and death. For the revisionists to rewrite the objective. The Republican objectives have always been clear and without compromising, a 32 county democratic socialist Republic, built on the principles of self determination. Thanks Paddy, i know its an unpopular view but I felt it needed to be recorded and shared, Traditional Republicanism seems to be very out of vogue, but like yourself that won't put me off giving my opinion.